From top to bottom, the truck beds we feature are truly built to last. 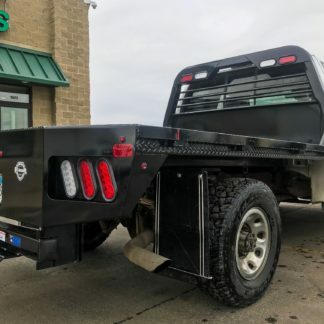 With 3” steel roll-formed channel crossmembers, 4” channel frame rails, steel diamond plate deck, 26,000k gooseneck, 14,500k steel drop hitch, and rock solid welds these beds stand up to what you throw at them. Just being tough isn’t enough. 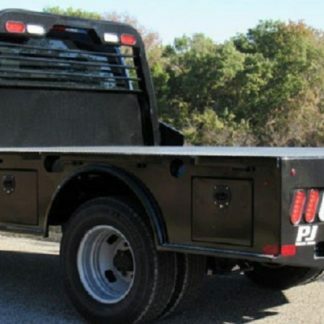 That is why our truck beds incorporate a steel cab profile headache rack, flush mount lighting, a contoured rear bumper, and a powder coat finish over powdercoat primer. Check out the different models we offer and feel free to contact our parts department in Mankato or Le Sueur for a quote or to answer any questions you have about customizing your new bed to fit any of your needs.